We already discussed this, see “And we are all mathematicians … “, start at Louis comment, Jul 27, 4:07 pm. You can find maps both in NZ & Australia which show the South Pole at the top of the page, but then it’s a mere convention. But it’s your man from California who’s upside down! That’s right, and I even thought you may be able to have coffee with him and then post your comments for us here to read, but then Thomas said that depending on the man’s location the distance would be the same as between London and Jerusalem. Jokes aside, these kind of claims appear now and then because religion is in decline in the West and people are looking for some “palpable” demonstration that God exists. Quite often even Christians ask, What is the meaning of it all? Personally I think that systematic theology has been unable to provide satisfactory answers and Rome, at least, cannot make any pronouncements because many claims in physics and biology are yet to be verified. What I have read so far from that end are the responses Benedict XVI gave to the German journalist Peter Seewald in many of the interviews he granted and which have been published in books also available in English. 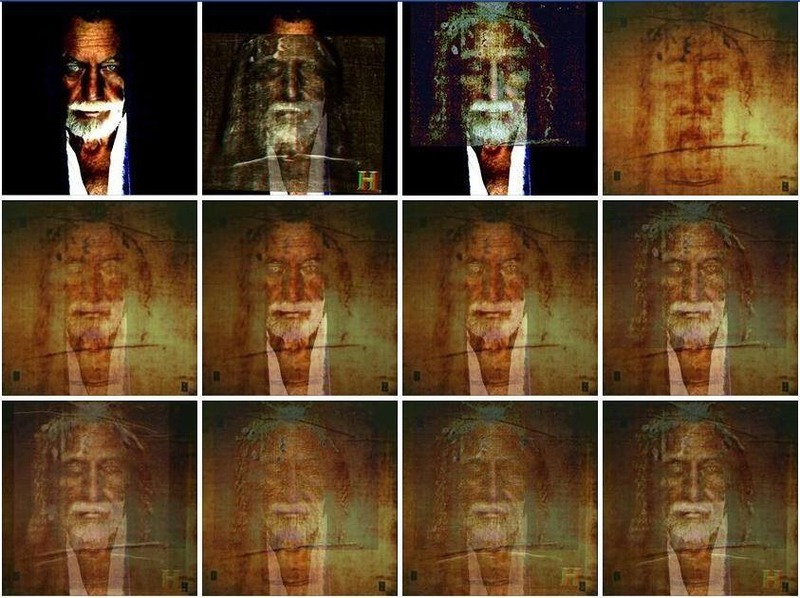 As you know, it is also the reason why many look to the Turin Shroud for an answer. Nice, in a demented sort of way. Out of my love and respect for our Lord, I will say nothing about the fraud the article is about. The fellow lives 300 km north of Brisbane. It’s very hot up there, I have seen people at Surfers Paradise getting a sun-tan on the beach in late winter. In summer they live in their swimming pools. The heat obviously goes to some of their heads. But Louis makes a valid point. With the decline in religion, it still seems to be part of our natural instinct to look for a substitute and would-be aspirants will attempt to take up the role. Others will worship at the altar of skepticism. Is it fraud? Perhaps, but there are also the self-deluded who would be better served by taking their medication. Occasionally such movements can turn violent, and of course there have been incidents of mass suicide, by those following a false messiah. Some will see it as the anti-christ at work. “Our hearts are restless until they rest in Thee, O Lord” – Augustine. Daveb,the Australian is a copycat. There is another one who began before him, and lives in a place that is not hot. He also makes a link with the Shroud. This guy is mad and so mad. There are many people like him and they call themselves as they are incarnations of past religious leaders. If that mad guy read the Gospels he has to understand that Jesus is not to reincarnate again. I am waiting for spring to go to Canberra to see Floriade.